Definition: EBITDA, which stands for Earnings Before Interest, Taxes, Depreciation, and Amortization, is a financial calculation that measures a company’s profitability before deductions that are often considered irrelevant in the decision making process. In other words, it’s the net income of a company with certain expenses like amortization, depreciation, taxes, and interest added back into the total. Investors and creditors often use EBITDA as a coverage ratio to compare big companies that either have significant amounts of debt or large investments in fixed assets because this measurement excludes the accounting effects of non-operating expenses like interest and paper expenses like depreciation. Adding these expenses back into net income allows us to analyze and compare the true operating cash flows of the businesses. 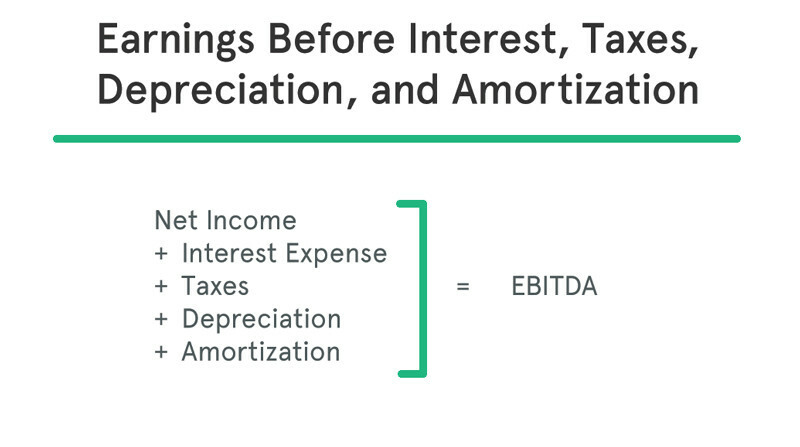 The EBITDA formula is calculated by subtracting all expenses except interest, taxes, depreciation, and amortization from net income. 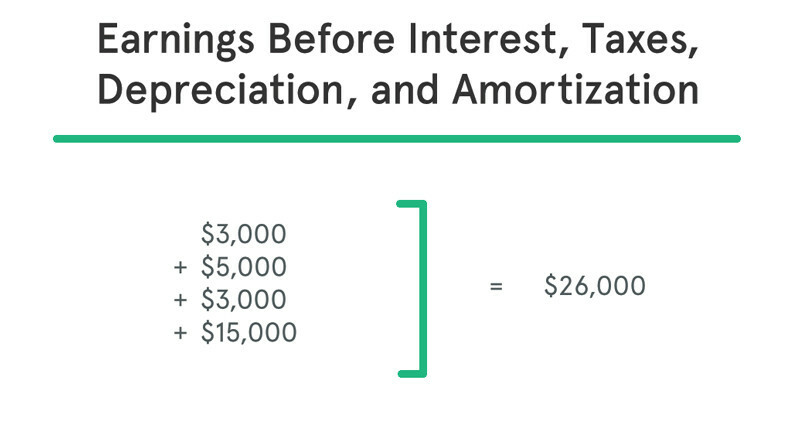 Often the equation is calculated inversely by starting with net income and adding back the ITDA. Many companies use this measurement to calculate different aspects of their business. For instance, since it is a non-GAAP calculation, you can pick and choose what expenses are added back into net income. For example, it’s not uncommon for an investor to want to see how debt affects a company’s financial position without the distraction of the depreciation expenses. Thus, the formula can be altered to exclude only taxes and depreciation. Here are five main components to the EBITDA equation. Earnings – The acronym uses the word earnings, but it really means net profit or simply net income. This is the bottom line profit for the company found at the bottom of the income statement. Taxes – Tax expense changes from year to year and business to business. This often depends on the industry, location, and size of the company. This figure is usually found in the non-operating expenses section of the income statement. Interest Expense – As with taxes, interest expense varies among companies and across industries. Some more capital intensive industries are more likely to have more interest expenses on their income statement than companies in less capital intensive industries. This expense is also found in the non-operating expense section. Depreciation and Amortization – These expenses appear in the operating expense section of the income statement to allocate the cost of a capital asset during the period and record its use. Why is EBITDA used in valuation? It’s a profitability calculation that measures how profitable a company is before paying interest to creditors, taxes to the government, and taking paper expenses like depreciation and amortization. This is not a financial ratio. Instead, it’s a calculation of profitability that is measured in dollars rather than percentages. Like all profitability measurements, higher numbers are always preferred over lower numbers because higher numbers indicate the company is more profitable. Thus, an earnings before ITDA of $10,000 is better than one of $5,000. This means the first company still has $10,000 left over after all of its operating expenses have been paid to cover the interest and taxes for the year. In this sense, it’s more of a coverage or liquidity measurement than a profitability calculation. Many investors don’t look at this metric favorably because it treats the company as if it never pays interest or taxes and never has the cost of equipment. In this sense, it doesn’t show a true value of the company because all of the costs associated with making a profit are not included. A good example of this is a company in the manufacturing industry. As the company grows, it will need to buy increasing amounts of equipment and finance these purchases with additional loans. EBITDA will not look at the cost of the expansion and only look at the profits the company is making without regard to the fixed asset costs. Since the earnings before ITDA only computes profits in raw dollar amounts, it is often difficult for investors and creditors to use this metric to compare different sized companies across an industry. A ratio is more effective for this type of comparison than a straight calculation. The EBITDA margin takes the basic profitability formula and turns it into a financial ratio that can be used to compare all different sized companies across and industry. The EBITDA margin formula divides the basic earnings before interest, taxes, depreciation, and amortization equation by the total revenues of the company– thus, calculating the earnings left over after all operating expenses (excluding interest, taxes, dep, and amort) are paid as a percentage of total revenue. Using this formula a large company like Apple could be compared to a new start up in Silicon Valley. The basic earnings formula can also be used to compute the enterprise multiple of a company. 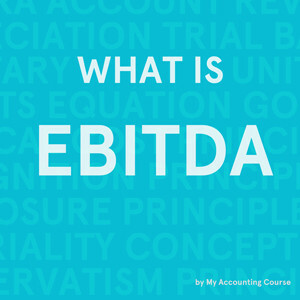 The EBITDA multiple ratio is calculated by dividing the enterprise value by the earnings before ITDA to measure how low or high a company is valued compared with it metrics. For instance a high ratio would indicate a company might be currently overvalued based on its earnings. Let’s look at an example and calculate both the adjusted EBITDA and margin for Jake’s Ski House. Jake manufactures custom skis for both pro and amateur skiers. At the end of the year, Jake earned $100,000 in total revenues and had the following expenses. As you can see, the taxes, depreciation and interest are added back into the net income for the year showing the amount of earnings Jake was able to generate to cover his interest and tax payments at the end of the year. The EBITDA margin ratio shows that every dollar Jake generates in revenues results in 26 cents of profits before all taxes and interest is paid. This percentage can be used to compare Jake’s efficiency and profitability to other companies regardless of size. 3.1 How is EBITDA Used?